As my Essie stash grows bigger, I start to notice that I have complete or nearly complete collections. A couple months ago, I realized I had all of the colours from the Winter 2011 Cocktail Bling Collection, except for Brooch the Subject. It's an almond-beige shade and I can't imagine I'll be adding it to my collection any time soon (not my style), so I thought I would go ahead and review the other 5 polishes in this collection for you. I didn't start buying nail polish until Fall 2012 and didn't even start paying attention to collections being released until that Winter, so the Cocktail Bling Collection came out before my time. 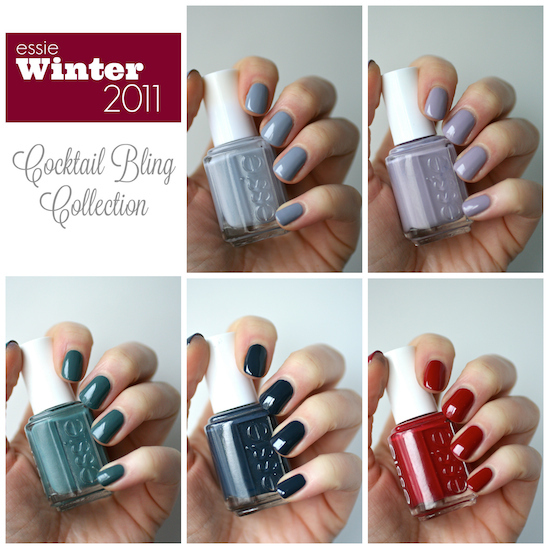 But once I started researching Essie polish, my eyes were drawn to this collection over and over and over again. I realized I had missed out on a really good collection! I started to keep my eyes out for these polishes and whenever I found one I scooped it up right away. These 5 polishes could be my Winter palette for sure; I wouldn't need any others (and if you look at this pic from my November Favourites, they look eerily similar to this collection! I told you I love this mix of colours ;) ). Let's dive in and see what the formula's are like. Cocktail Bling was my most recent addition to my stash. 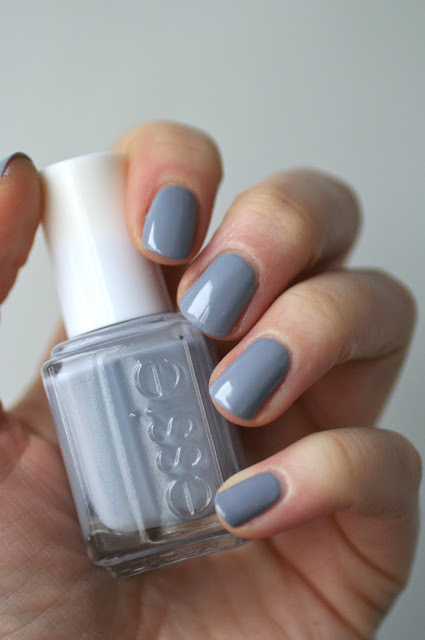 I thought the pale grey colour was absolutely gorgeous. 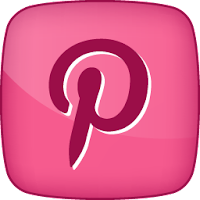 It reminded me of one of my current faves Petal Pushers, just a shade or two lighter. The formula is thin but easy to control. If you have ridges in your nails at all, you will get a better smoother finish with a base coat. It doesn't necessarily have to be Fill the Gap. I used CND Stickey as my base and the polish went on way better than on bare nails and helped get rid of bald spots. With a base coat, I was able to get this opaque in 2 coats. For some reason this Winter I've been really into greyed-out purple polishes. I couldn't make my mind up over which ones to get, so in my last sparklecanada haul I ordered a bunch and Bangle Jangle was one of them. The formula of Bangle Jangle surprised me since it was very opaque on the first coat! I was expecting this formula to be exactly like Cocktail Bling since they are both grey toned colours, but its not. It's a bit thicker making it more opaque. I like it, it's easy to work with. If I had done a thicker coat it would have been opaque in one coat but I did two thinner coats. This was the first polish from this collection that I lusted after and I fell hard for. Once I finally got it about two years ago, I was more than impressed with the formula! It's very opaque and easy to apply. It is opaque in one coat if you do a bit thicker of coat. I decided to do two thin coats and got it perfectly smooth and opaque. It self levels really well. This is a great formula and colour (which you'll notice is a theme in these last 3 polishes). 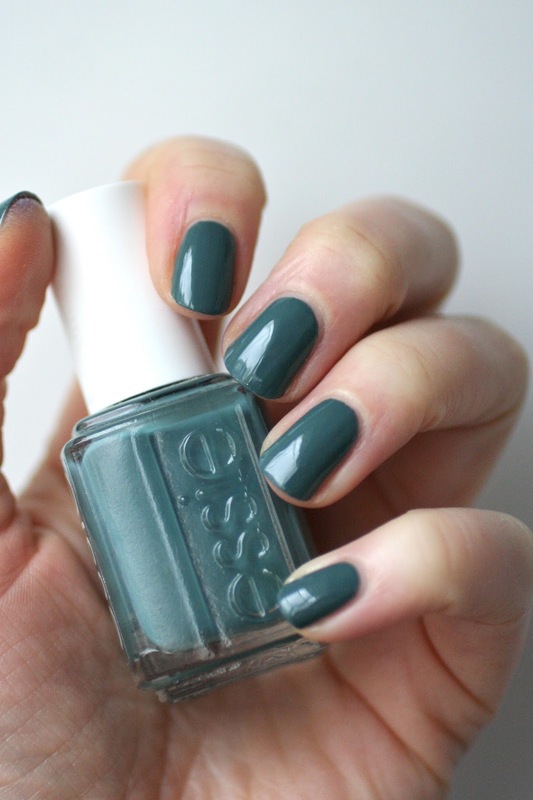 Bobbing for Baubles was my first ever post here on Essie Envy! 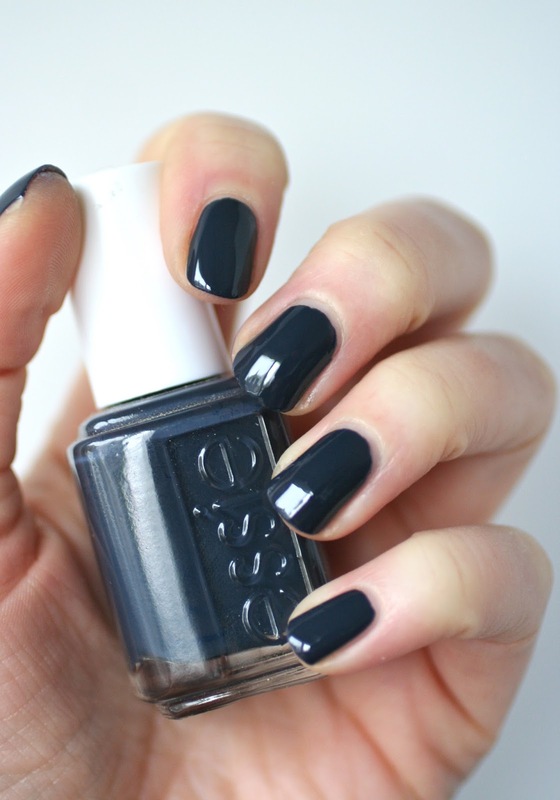 (don't judge my super nubbly short nails ;) ) I loved this dusty navy blue then and still do now. It's a polish that is perfectly smooth, creamy and opaque in one coat. You don't even need to do a thicker coat to achieve it. Fantastic formula! Size Matters was another polish from this collection that I lusted after for a lonnnnnnnggggg time. Much longer than I had to wait for School of Hard Rocks. I'm so in love with this deep red with just a hint of a berry tone. I just about pooped my pants last Spring when I found this polish at Dollarama for $3! I honestly couldn't believe my luck. The formula is not too thick but very opaque. It's another one from this collection that is completely opaque in one coat but I went for two just to make double sure that I had the richness of the red in the bottle. It's super smooth and self-leveling. I love the colours in this collection! And seriously....4 out of 5 polishes in this collection that could be one-coaters? That's incredible. All 3 of the richer jewel toned colours have absolutely fantastic smooth, pigmented formulas. The lighter grey and grey-purple had pretty good formulas as well. Cocktail Bling - this one should still be around in the permanent collection, since this is the only one I've seen on display at my Superstore. Essie released holiday mini sets this year and Cocktail Bling was included, so if you didn't find them in-store they still have them on Amazon.com. 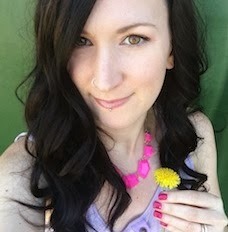 Other places are: Head2Toe Beauty (US), SparkleCanada and Amazon.ca. Bangle Jangle - found this at Head2ToeBeauty (US), Amazon.ca and SparkleCanada. School of Hard Rocks - found this at Nail Polish Canada, Head2ToeBeauty (US), and Amazon.ca. 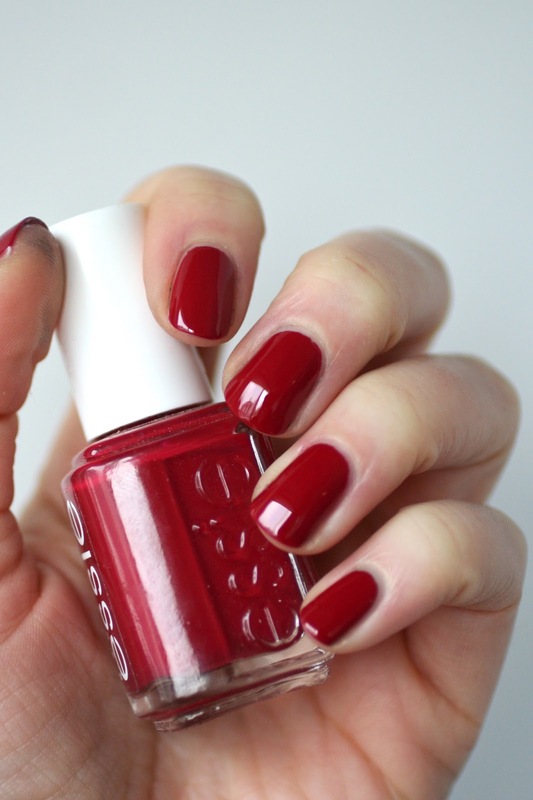 Bobbing For Baubles - found this at Nail Polish Canada, Head2ToeBeauty (US) and Amazon.ca. Size Matters - found this at SparkleCanada, Nail Polish Canada, Head2ToeBeauty (US) and Amazon.ca. If you are from the US, I've recently discovered that Nail Polish Canada will ship to you (Free with $50. I'm not sure how much regular shipping is). Hopefully that helps you track these down! We have another month of Winter shades to go before Essie releases their transitional Resort collection, so I will happily be wearing these polishes in the meantime. Do you have any polishes from this collection? What were your thoughts? Thanks for this post, Kindra! I love so many of the colors in this collection. I missed out on Bobbing for Baubles when it was out and have had a hard time locating it. However, after seeing your comparisons, I knew it was one I needed to add to my collection! I'm also loving the grey/purples this winter. Maybe a comparison of those colors together would be a cool post! Yes fantastic idea Jess! I think I will do that for sure. So Resort Collection is next, then is there a regular spring collection? And there's summer neons, and is there a regular summer collection too? Alison - Yes Petal Pushers and Cocktail Bling look like they are the same colour, just a few shades different from one another. Petal Pushers has the superior formula in my opinion. 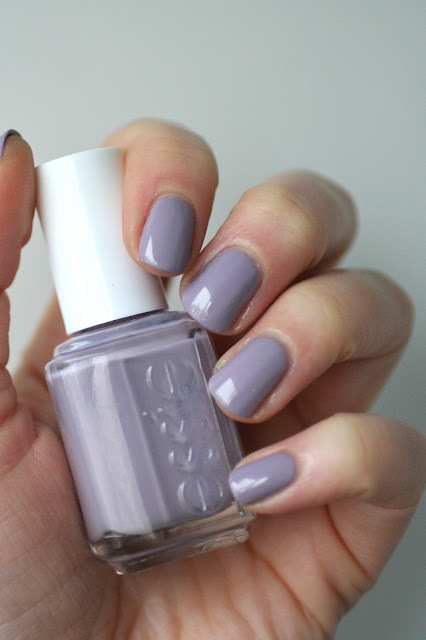 Usually Essie Releases the Resort Collection in Feb/March as a transition collection, then Spring is around April. I'm hoping we'll still get a Resort collection this year, since they did release Retro Revival in January. They also have done a Neon AND Summer collection in past years, so we'll see if they repeat that this year.